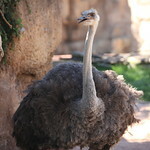 The largest living bird, the ostrich can reach up to nine feet tall and 285 pounds. The species has a black chest and wings, a white underside, and long, bare neck and legs. 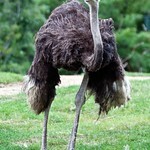 Because of its large size, the ostrich is unable to fly. 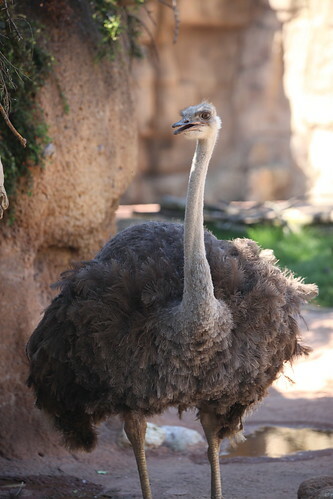 Ostriches primarily feed on seeds and other plant parts. However, they will also eat insects and even meat left by predators when available. 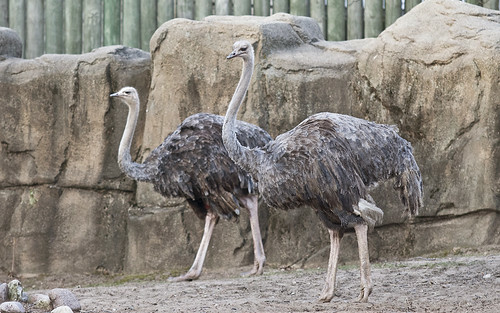 Adapted to dry habitats, ostriches can survive without water for long stretches of time, gaining moisture from the plants they consume. The species is known to swallow rocks and pebbles to aid the breakdown of plant products. 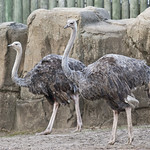 Ostriches live in grazing groups of 5-50 individuals. During breeding season, males compete for mates by establishing and defending competing territories. Females lay their eggs in holes scraped in the ground; these eggs can be five inches long, six inches wide, and reach up to 30 pounds, making them the largest eggs found in nature. Males and females cooperate in incubating the eggs. 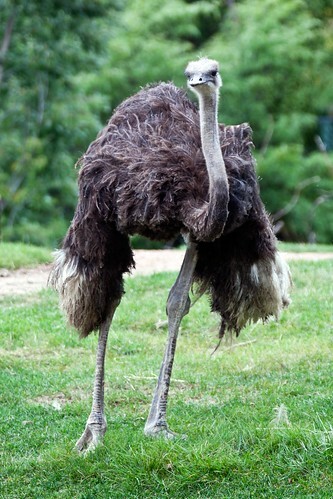 The ostrich is the world's fastest bird on land. The species's long legs enable it to run quickly through the grasslands where it lives, reaching speeds of up to 40 miles per hour.